Some of the more spectacular advertising covers in American philately can top the $1,000 mark at auction or on a bourse, but thankfully, the vast majority of covers bearing commecial advertising are way below the $300 level—even many of them from the 19th century. 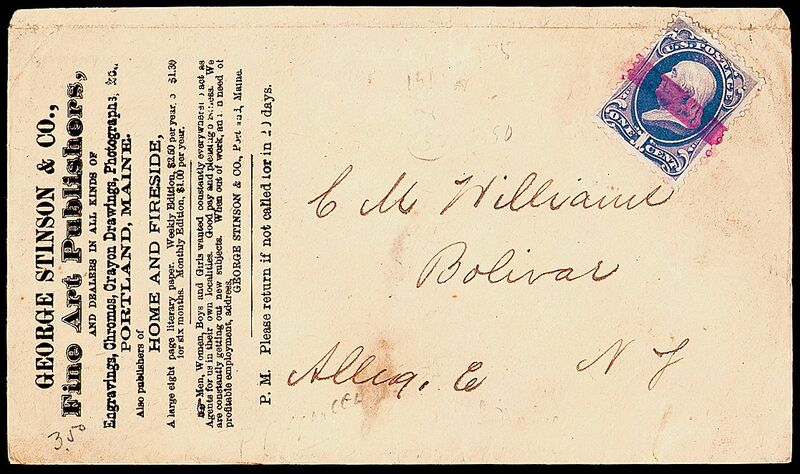 Ad covers were in use from the very moment envelopes replaced “folded letters” as the main form of first class mail in the early 1850s. 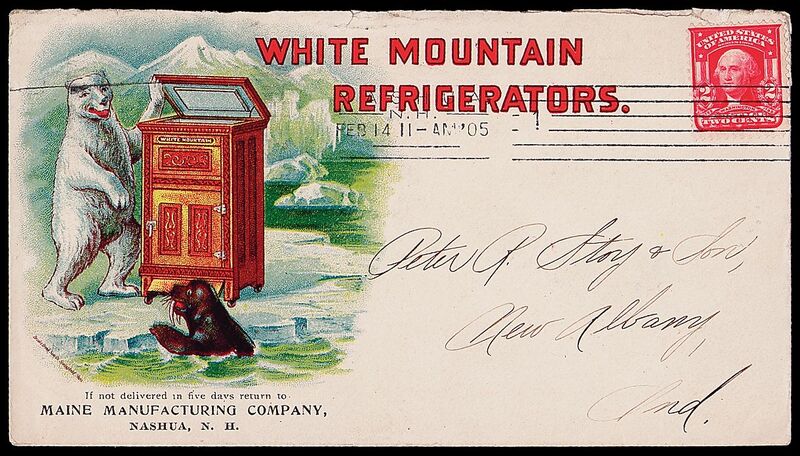 Practically every business, from general stores and buggy makers to doctors and lawyers, had printers prepare often quite elaborate designs to advertise their wares and services to recipients of their outgoing mail. 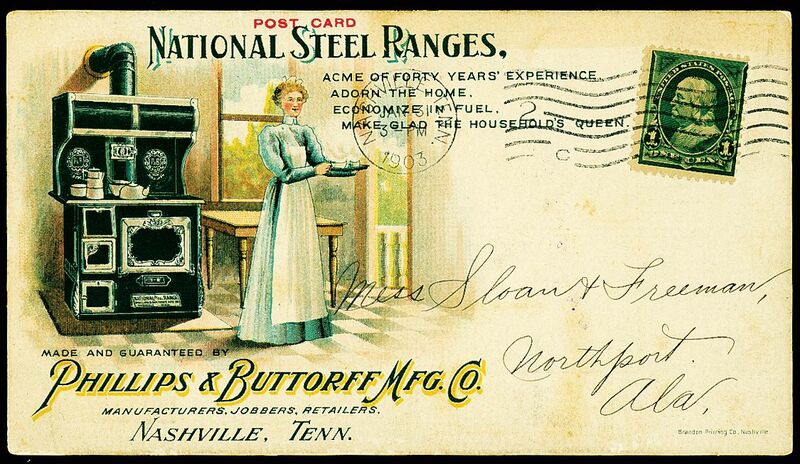 In the 1850s, one sees beautifully color-embossed envelopes with “corner card” ads and lots of line art and lithographed illustrations printed in black. In the 1860s, color began to come into play. 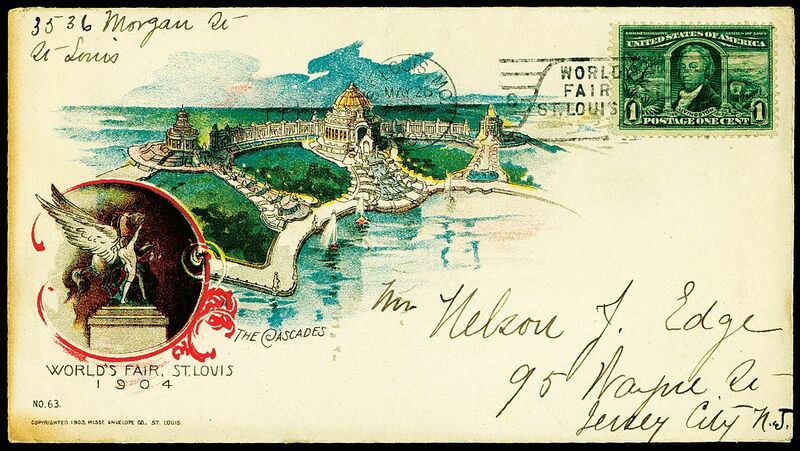 And by the late 1870s, multi-color advertising art began to appear on commercial mail. In fact, as one can see from an illustration or two on this page, sixcolor lithography was a rather spectacular method of advertising! One of the chief drawing cards for the collector of ad covers is that one can trace the history of commerce from the mid-19th century to the present day using these covers. 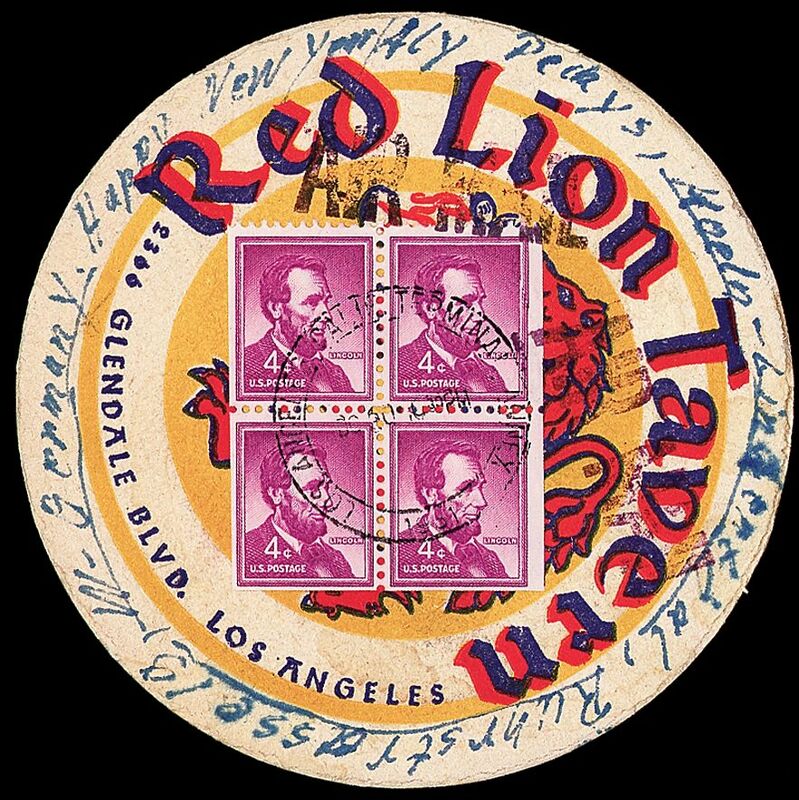 And if one wishes to get serious, philatelically, just go after ad covers with unusual usages, like special delivery, certified mail, and wartime airmail. Specialization can be a trip down memory lane, such as a collection of only soda pop advertising—or beer, or tires, or patent remedies...the list for specializing could be endless. Another advantage is the attraction such mail has for the non collector. If you want to collect something that might truly interest your spouse, this is it! Not to mention how entrancing such material is for kids. There are even Star Wars advertising covers!